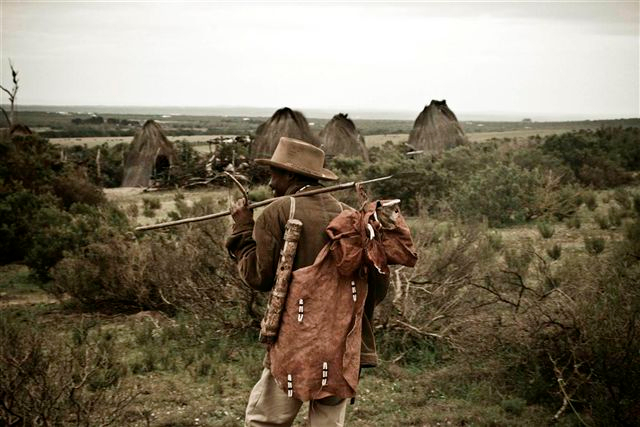 The Program provides for the exclusive chance to engage with the San people amongst wildlife on a nature reserve dedicated to helping this unique culture and its community. 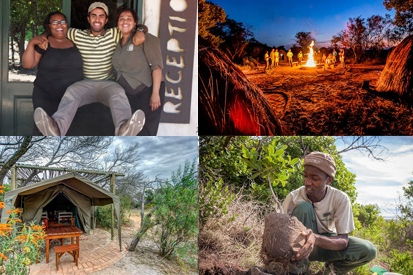 Volunteers will experience the priviledged opportunity to learn survival skills from the San and to contribute towards local development and conservation. Above that all activities will take place in globally unique Cape Floral Kingdom. The Volunteer program “Cape Sustain Able” offers volunteers the opportunity to a shared learning outdoor conservation experience in the Western Cape preserving the fauna and flora. It will allow Volunteers to assist in a number of rehabilitation and conservation activites and interact and interact with local communities. It is definately a hands on experience. Meals: Three basic meals a day will be provided. Please note we cater for people with no dietary requirments as well as for vegetarians. If you have other dietary requirements, please check with our team before booking if we would be able to cater for you. Khwattu being the San Education Centre opens up huge opportunities to dive into the culture. 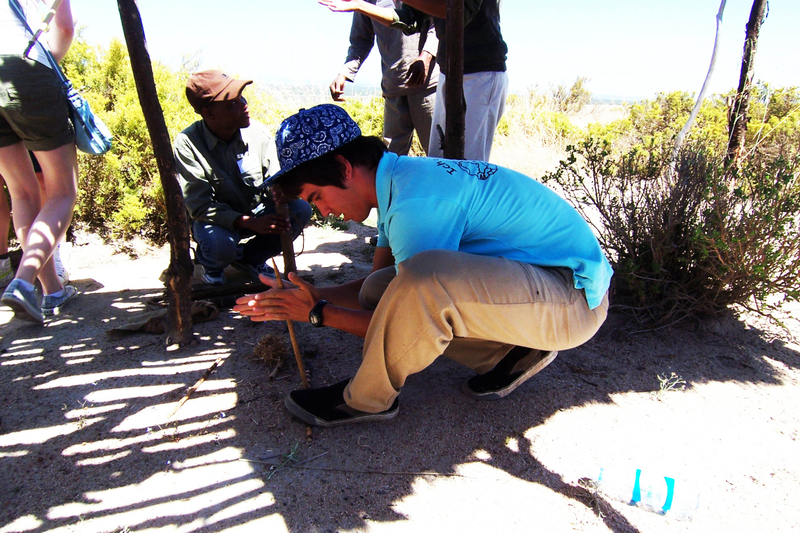 The Volunteers will have the opportunity to learn more about the San Culture. They will learn to make fires using two sticks, hunting bows, arrows, love bows, tracking skills and learn to speak a little San Lingo and many other life skills known by the San People. 1) Game census must be carried out. This actively involves the volunteer to do physical game counts. This enables Khwattu to monitor male to female ratio, species indentification, population growth of game and to calculate the carrying capacities through long term data capture. 2) Vegetation data capture: This will determine a sustainable population of game. Further action can be set into place to prevent overgrazing. Due to the fact that this area was old agricultural land and is now slowly coming back to its natural state, we must make sure that the carying capacities are sustainable in numbers. The Volunteers will actively collect plant samples and identify the plants to contribute to a long term project. Because of vast number of plant and shrub species this can take years to determine. 3) Darting and relocation of overpopulated game if needed. 4) Re-introduction of n ew species if needed. Khwattu has three small natural springs on the reserve. Due to a lack of surface rain water these springs become frequently visited by larger antelope causing it to be churned up. Sometimes alien vegetation and grass block the springs, causing difficulties for small game to access clean drinking water. This needs to be cleared and cleaned on a regular basis. It will be done on dry days as this can become a messy business playing in the mud. Another obligation is to eradicate as much of the alien vegetation as possible by cutting down the trees and poisoning the stumps to prevent re-growth. The invasion of alien vegetation on the farm led to a great piece of unpalatable land for the game. This vegetation has to be removed and at the same time replaced with palatable vegetation to support the wildlife on the reserve. This is where the nursery plays an important role. Conservation management includes activities on trails like building information boards, clearing hiking trail-bridges, research, data capture, plant identification, soil erosion rehabilitation and firefighting. Green Futures project at Grootbos is a professional, designated facility and is run by a highly qualified personnel to run the programme. The programme is a recognised course that allows the participant to graduate within the National Qualification Framework (NQF). The project ensures that women and youth with disadvantaged backgrounds are given a chance on training and skills development. Although the curriculum of Green Futures is based on horticulture, half the course focuses on life skills including literacy and numeracy, health and safety, HIV/AIDS awareness, basic computer skills, book keeping, money management and business planning. 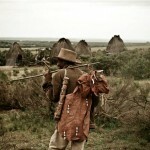 The programme combines conservation and community development. Volunteers will assist the local staff in the nurseries. You will learn about propagation and clipping of indigenous plants and trees. This is crucial as volunteers, will be included in the Future Trees Project focused on the rehabilitation of a forest and will need to propagate a sapling and to plant trees. The project is a joint programme between Grootbos and the Flower Valley conservation trust dedicated to the preservation of the stinkhoutsbos forests in the Walker Bay Region. These seven small and unique forests have a history of human exploitation and destruction. One of the worst fire recorded for this area engulfed all but a few isolated pockets leaving a few hectares of forest intact in February 2006. Each volunteer will be given and indigenous tree to plant. This tree will be marked by GPS and given a name of their choice. Flower Valley Conservation trust is designed to support sustainable harvesting of fynbos. The trust plays a large role in helping to ease unemployment in the local area. Additionally, a kindergarten has been established to support the children of these families. After a drive to flower valley and a walk/drive up to the Forest Restoration Project, Volunteers will assist in harvesting seedlings and clippings. The Volunteers will assist in a honey badger programme to ensure awareness on this endangered species. Sustainable Africa and its volunteers will be conducting a long term monitoring programme to try and determine the population of honey badger on Grootbos. This will entail the setting up of various methods of data capturing, like sand traps, camera traps etc. One day every two weeks will be allocated to picking up the litter on the beach. A stretch of beach will be walked that day and once it has been cleaned a marker will be put in to indicate our start for the next clean up, and so it will go on till we have reached the end of the beach. At the same time we will also monitor the amount of waste comin in on the areas that have been cleaned. Over time this will give us an indication of just how big this problem is which is not exactly known by now. A number of other monitoring and rescue projects will be done as well. Collecting data and identifying dead birds, fish and animals. Live, injured and stranded animals might be reported to SANCCOB (Southern African Foundation for the Conservation of Coastal Birds), our local rehabilitation centre, and rescued. All this data will be given to Cape Nature/SAN Parks which will be added their statistics. The waste collected will be sorted and recycled by a waste company. Depending on the weight, they give a small fee which we will used to support conservation along the West Coast. Tygerfrontein is within walking distance to the accommodation at Khwattu. Depending on weather conditions night walks, star gazing and sundowners can be enjoyed after a day’s work in the sun. Volunteers will receive briefings on projects, tasks and, if so timeframes. 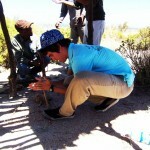 The interaction with the San guides during the day will create a great opportunity for knowledge exchange. This will allow the volunteer to say that they have worked with San people and learned about their culture and bush skills. When the guides are not busy with the guests or classes, they or other San staff might join the programme in the day to day work with the volunteers. Khwattu offers a kindergarten for their staffs children. Volunteers may support the maintenance of the facilitiy and teachers in their work with the children. Volunteers will also gather experience in community involvement within the Green Future project. 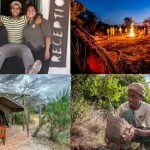 For example social braai, night walk, astronomy, art, animal tracking, biking, and ‘bokdroll speg competisie’, sun downer, possibly also a music evening with staff trainees, sport events like volleyball or soccer. Any of these activities will be planned of short notice according to occasion. Volunteers are accommodated in clean but basic accommodation during stay. It is comfortable but not luxurious. Depending on availability and weather conditions accommodation may be partially in a tented camp. Access to internet is not guaranteed. Volunteers will be sharing bedrooms, however, bedding will be provided. At your disposal are communal bathrooms. Not all accommodation facilities will have their own kitchens. You will be provided three basica meals a day. In cases of walks a meal may be a lunch package. Please note we cater for people with no dietary requirements as well as for vegetarians. If you have other dietary requirements, please check before booking if we would be able to cater for you. At evenings we will offer you some leisure and fun activities depending on weather conditions and availability. All programme activities are located in globally unique and famous Cape Floral Region Kingdom. This region, one of South Africa’s eight World Heritage sites, comprises of protected areas stretching from the Cape Peninsula to the Eastern Cape. It is cutting across spectacular mountain and ocean scenery and contains some of the richest plant biodiversity in the world. The Cape Floral region represents less than 0.5% of the area of Africa, but is home to nearly 20% of the continent’s flora. The plant species diversity, density and endemism are among the highest worldwide, and it has been identified as one of the world’s 18 biodiversity hot-spots. The Table Mountain National Park alone has more plant species within its 22 000 hectares than the whole British Isles or New Zealand. The Cape Floral Kingdom’s Fresh water and marine environments are similarly unique, with plants and animals adapted to highly specialised environments. One of our partners, Grootbos, which itself is involved in Flower Valley Conservation Trust, is located in the Flower Valley Region in the Southern Cape area. It is part of the Agulhas plains. The name Grootbos is Afrikaans and means Big Forest which is derived from the presence of the ancient Milkwood forests on the private reserve. These trees are known to grow over 1000 years old and their gnarled brances and mossy beards create an enchanting atmosphere. – Return Transfers Town Cape Airport to Project.